Prince Harry described Christmas with his fiancé, Meghan Markle, as "fantastic," and opened up about spending the day with his niece and nephew, Princess Charlotte and Prince George. Harry spoke about Markle during his special appearance today as guest editor of the BBC’s three-hour radio program, Radio 4. The show focused on themes central to Harry's charitable work -- youth empowerment, support for former service members and mental health awareness -- and Harry was also asked about Markle, who joined the royal family on Christmas Day. "The family loved having her there." Prince Harry on Meghan Markle's first royal Christmas. 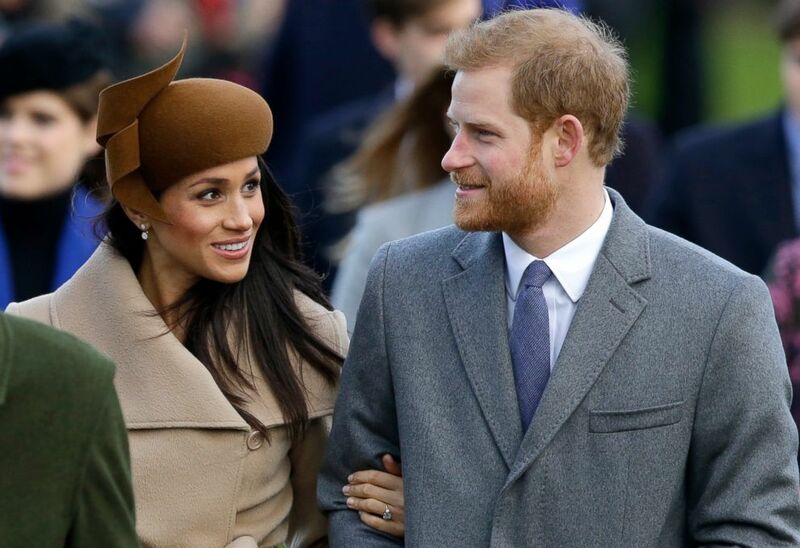 Markle, a Los Angeles native, was the first fiancé to be invited by Queen Elizabeth to celebrate the Christmas holiday with the royal family at Sandringham, the queen’s estate. The duchess of Cambridge did not attend Christmas services at Sandringham in 2010 when she was still engaged to Prince William. She spent Christmas with her family before her wedding to William the following year. Markle and Harry greeted the public after the royal family service Monday at St. Mary Magdalene Church. Markle, who looked a bit nervous, could be seen getting advice from Harry and William as they left the church. Markle also mastered her first public curtsy as Queen Elizabeth departed. Actress and fiancee of Prince Harry Meghan Markle and Britain's Catherine, Duchess of Cambridge, curtsy, and Prince William, Duke of Cambridge and Prince Harry bow to Queen Elizabeth II in Sandringham, Norfolk, eastern England, Dec. 25, 2017. "I think together we had an amazing time staying with my brother and sister-in-law," Harry said of William and Kate, who have a home, Anmer Hall, near Sandringham. "We were running around with the kids and Christmas was fantastic." Prince Harry and his fiancee Meghan Markle arrive to attend the traditional Christmas Day service, at St. Mary Magdalene Church in Sandringham, England, Dec. 25, 2017. William, 35, revealed to well-wishers at Sandringham that George, 4, received the one gift he had requested in his list to Santa, a toy police car. Markle has said previously that Kate, 35, has been “wonderful” in providing her with guidance and making her feel welcome. Britain's Prince William and Kate, the Duchess of Cambridge pose with their children Prince George and Princess Charlotte, at Kensington Palace in this undated photo provided by Kensington Palace. 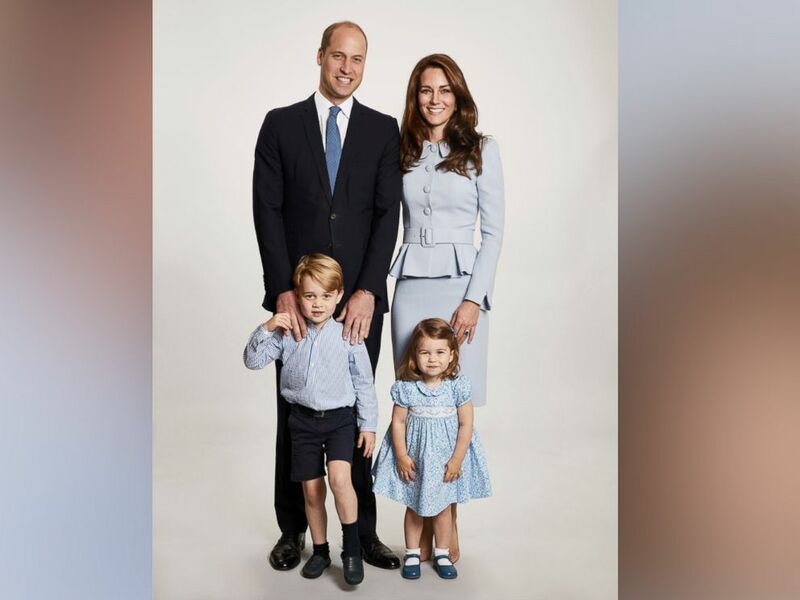 The photo has been used on the Cambridges' Christmas card. Markle and Harry announced their engagement in November. They plan to wed on May 19, 2018, at Windsor Castle. Harry told the BBC that every family has its challenges and Markle has done an admirable job adapting to royal life so quickly. 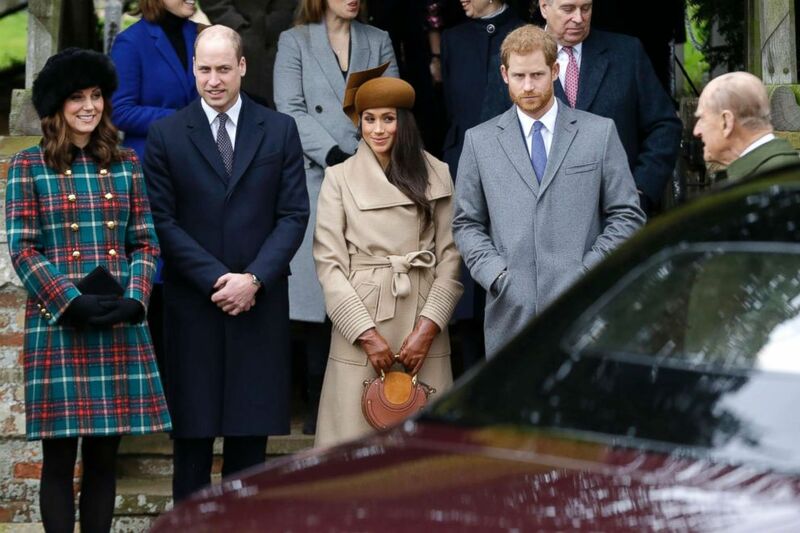 From left, Kate, Duchess of Cambridge, Prince William, Meghan Markle, Prince Harry and Prince Philip arrive to the traditional Christmas Days service, at St. Mary Magdalene Church in Sandringham, England, Dec. 25, 2017. "I think we've got one the biggest families I know and every family is complex," he said. "She has done an absolutely amazing job, just getting in there and it's the family, I suppose, that she's never had." When asked whether he and Markle plan to invite Barack and Michelle Obama to their wedding, Harry told the BBC presenters that the couple haven’t gotten that far yet. Harry's interview with the former president aired today on Radio 4. "I don't know about that," he said. "We didn't put the guest list together yet." Harry added that he and Markle are looking forward to 2018 and predicted it will be a "fantastic year." "As I said, we are really looking forward to the New Year and looking forward to 2018 because I'm determined to make sure that myself and the young generation and everybody else that this pendulum is going to swing," he said.